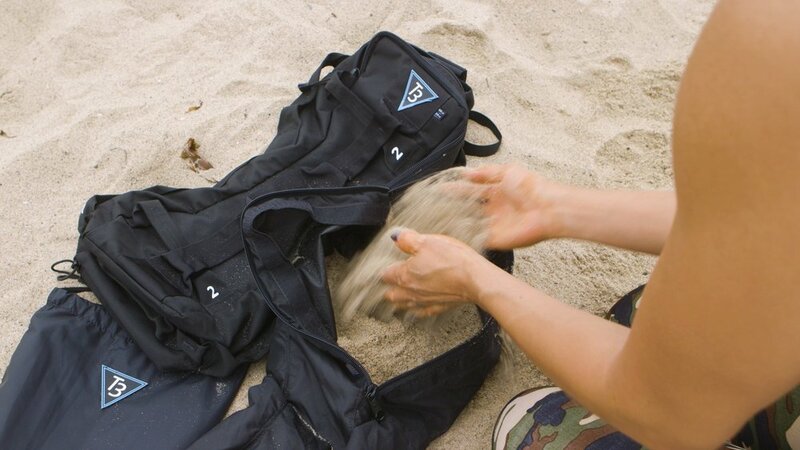 Secondary internal fill bag mirrors the shape of your bag.Makes it very easy to slide inside and remove. It is made from 400D Nylon with a clamshell design and a combination Ykk zipper , velcro enclosures. Fill tags are strategically placed to let you know just how full your T3 Power bag is. Water will add another dimension to how you train for a better life. The T3 Hydro bag will turn up your work outs to a level that will excite your spirit, mind and body. A T3 Hydro bag with air and water continues to move around which increases the challenge of the exercise.